The current emphasis in the promotion of school learning is on the active involvement of the learners in the learning process. Helping students to develop interest in self-directed cooperative learning is considered to be one of the ways to enhance active learning. 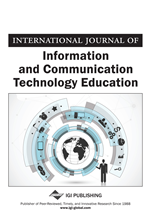 This study sought to investigate the views of selected undergraduate education students on the value and constraints of cooperative learning. A 20-item questionnaire was administered to a sample of 600 students from six Nigerian Universities. The results show that students agree to the potency of this learning mode to promote teamwork and communication skills, active learning and achievement among others. The students also agree to the constraints of this learning mode and said they would not wish to engage in it. The recommendations made included the need for teacher educators to give greater attention to the teaching of issues related to this learning mode and students to attend to their classes and reading assignments to make them prepared for gainful cooperative learning.